The Association of Holistic Skin Care Practitioners (AHSCP) will hold its 11th annual conference on Nov. 4 and 5 at Chicago’s Crowne Plaza O’Hare Hotel. It will feature extensive, hands-on learning opportunities and demonstrations, so registration will be limited this year. The AHSCP offers the latest protocols and trends in organic, non-invasive skin care, as well as continuing education for aestheticians and holistic skin care certification. Workshops and conferences sponsored by the AHSCP provide education on natural ingredients, demonstrations of European and Eastern methods for individualized skin care protocols, and networking opportunities. Eminence Organics celebrated their largest annual business conference in July. This dynamic, yearly event united over 200 Eminence team-members from around the world for three days of education, knowledge sharing, and celebration. Held in Vancouver, British Columbia, the conference was designed to celebrate company wins and galvanize growth for the next 12 months. BiON Skincare has announced a new Director of Sales and Education, Andrea Matczyszyn. 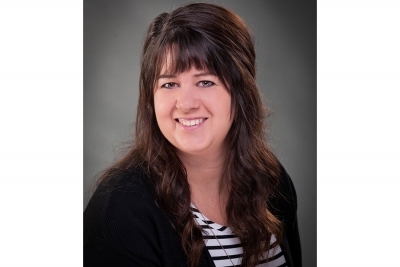 Passionate about skin care, Matczyszyn has held an aesthetics license in Nebraska for six years. 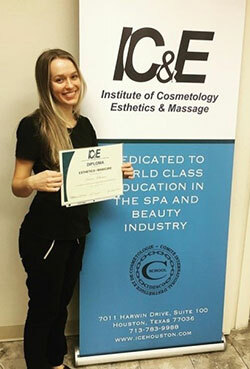 In 2011, after graduation, she moved to Colorado where she quickly became the lead aesthetician at the salon where she worked, due to her organizational and esthetic skills. After a few years in Colorado, she moved back to Nebraska so she and her husband could be closer to family. She decided to switch gears and work in business for a short time. As a firm believer in BiON Skincare and its mission, Matczyszyn supports this family-owned and operated business by offering the same level of customer service that may customers have appreciated over the past 21 years. 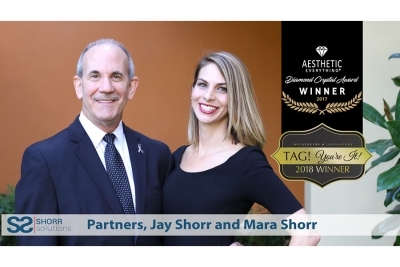 Shorr Solutions founders, Jay and Mara Shorr, have won the coveted Non-Physician Practice Management Innovator Award at the TAG! You’re IT! Aesthetic Awards during The Aesthetic Show 2018. The ceremony was held at the Wynn in Las Vegas on July 7. 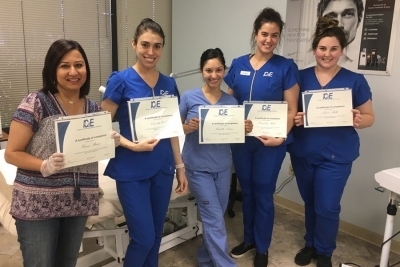 The Institute of Cosmetology, Esthetics, and Massage recently started offering advanced classes at the school and they have been a huge success. They offered one-day courses in microneedling, eyelash extensions, and dermaplaning. They are excited to offer more classes in October. 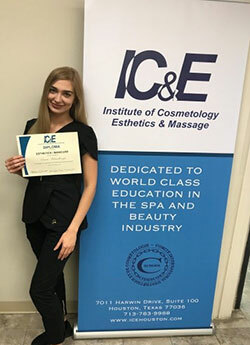 Two of the school’s most recent CIDESCO students, Laura and Dasha, recently completed the aesthetics and manicure section of their course and are now moving on to massage. 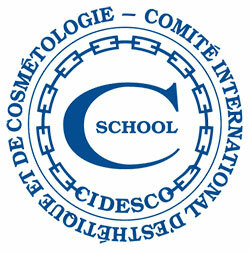 The institute is also hosting a CIDESCO preparation class next month, September 17-21. This helps prepare individuals who sign up for the class for the CIDESCO international exam. 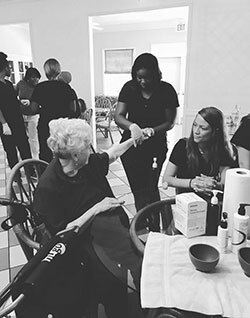 The residents enjoyed all of the pampering and the students learned a bit more about giving back to those in need. Southeastern Esthetics Institute is looking forward to visiting and pampering the next set of residents soon. To inquire more about community service projects with Southeastern Esthetics Institute, please call 803-814-1772. Saltability, a spa industry vendor that provides Himalayan salt stone treatments and products for resort, day, medical, and destination spas, announces that Christine Clinton has been named the company’s national trainer for Ireland. 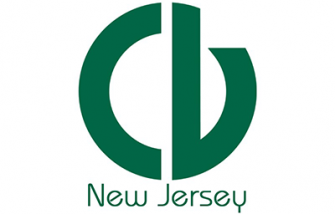 Clinton has been at the forefront of the spa and wellness sector for more than 28 years, providing continuing education for massage schools, spas and professional organizations across Ireland, the United Kingdom, United States, Canada, and the Caribbean. As Saltability’s national trainer, Clinton offers one-day workshops throughout the country to educate qualified therapists on the therapeutic use and benefits of Himalayan salt through salt stone massage and more. 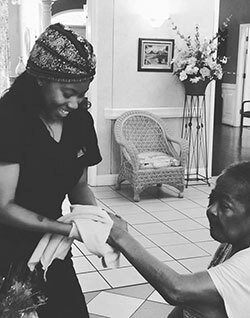 Saltability was created by founder Ann Brown, who sought a better, and more environmentally-friendly, way to provide stone massage to clients. There is no water required for the treatment and product usage is minimal. In her new role, Clinton will work closely with Saltability clients in developing bespoke treatments to enhance all spa menus featuring Saltability’s eco-friendly, International Spa Association (ISPA) Innovation Award-winning salt stone warmer. Born from the earth’s primal sea and mined from the Himalayan Mountains, Saltability’s pure salt stones contain 84 naturally-occurring minerals and elements and benefit the body by stimulating circulation, detoxifying, improving sleep, reducing inflammation, calming the nervous system, and reducing the signs of aging. Carillon Miami Wellness Resort, a wellness property in Miami Beach, Florida announced the appointment of respected spa-industry leader Tammy Pahel as director of spa. In her new role, Pahel manages a team of 100 professionals in the property’s integrated spa, fitness, salon, and wellness facilities. ​Pahel began her career in 1989 as executive director at Nemacolin Woodlands Resort and led the property to a “Top Ten Spas” ranking by Conde Nast Gold List. She also led the spa operations for Arizona Biltmore Resort and Spa, The Spa at Caesar’s Palace, and Deer Lake Lodge and Spa. Pahel is also the founder and principal of Spa Management Solutions, Inc., which she launched in 1999. Committed to having a prominent voice in the spa industry, Pahel served on the International Spa Association Board (ISPA) for four years and participated for an additional eight years on various ISPA committees. Susan Posnick, makeup artist and founder of beauty and sun protection lines Susan Posnick Cosmetics and Brush On Block, received the international MyAid Award for her fight against cancer and for her commitment to healthy sun protection, made easy with her groundbreaking COLORFLO foundations and Brush On Block® mineral sunscreen. Posnick was honored at the Dancer Against Cancer ball at the Hofburg Imperial Palace in Vienna. The nonprofit Dancer Against Cancer was founded in 2006 by Matthias Urrisk-Obertynski and Yvonne Rueff, whose sister lost her life to skin cancer at 33. Their annual ball is a highlight of the Vienna social calendar and is a spectacular night of dancing for the cause, all in support of the Austrian Cancer Aid organization. Previous MyAid Award honorees have included the actors Fran Drescher, Charles Shaughnessy, and Kelly LeBrock. For more information, see danceragainstcancer.com. RevitaLash® Cosmetics, a leader in the eyelash and eyebrow category, announces the launch of its new website, including added features for customer convenience, updated model and product imagery, new video content, and, for the first time, a look at the brand’s refreshed logo. Now offering consumers a more engaging brand experience, the new website is designed to authentically represent the brand’s iconic, luxury products and heritage. Updated model imagery speaks to the prestige products, while the press page showcases the brand’s many awards, including five consecutive AllureBest of Beauty wins. A newsletter signup is now featured prominently on the homepage, offering consumers a way to keep up with RevitaLash Cosmetics’ news and product launches. Overall site maneuverability has been attuned for the customers’ convenience, with mega-menu shop dropdowns and an FAQ section helping consumers to make more informed buying decisions. On the “Our Story” page, RevitaLash Cosmetics’ heritage and philanthropic values are highlighted – providing a more in-depth look for customers. The brand’s original eyelash conditioning formula was created by founder Michael Brinkenhoff, M.D. as a solution to help make his wife feel beautiful during her courageous fight against breast cancer. 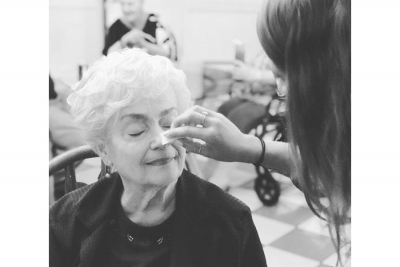 With such deeply personal roots, giving back to the cause that started it all is of critical importance to Brinkenhoff and the entire RevitaLash Cosmetics team. As “eternally pink,” year-round supporters of breast cancer awareness, research, and education, RevitaLash Cosmetics highlights humanitarian efforts and partners, including City of Hope, a non-profit cancer research center and hospital located in California. The site also features a modern, technologically-relevant checkout process that includes diverse payment methods such as Google Pay, PayPal, Amazon Payments, and Apple Pay. RevitaLash Cosmetics has also partnered with a new platform for checkout – Shopify – helping to streamline the checkout process with fewer steps. Shipping and payment information can now be easily stored for quicker future orders, making repurchasing favorite products easier than ever. To check out these new developments, visit revitalash.com. This year, Ginamarie Products is celebrates 40 years in business. Ginamarie is a holistic skin care and clean cosmetic company. The products are formulated to be pH balanced, water-based, and cruelty-free, and featuring ingredients that are naturally-derived. Ginamarie Products prides themselves on educating clients about the health of their skin from a holistic perspective and has found its niche by specializing in consumer education and having a personal relationship with clients. In addition to celebrating their 40th year in business, Ginamarie Products is also celebrating expansion in their new state-of-the-art location. This new location gives Ginamarie the capability to showcase products as a store front, provide spa services, host continuing education classes, as well as arrange workshops for women and teens. Ginamarie Products is now located in Mokena, Illinois and will be hosting an open house at their new location August 2 through 4. This expansion will allow Ginamarie Products to soar to new heights and continue to serve for many years to come as an established, educational, holistic skin care and clean cosmetic line for all. This event is open to the public. Fibrocell Science, Inc., a gene therapy company focused on transformational autologous, cell-based therapies for skin and connective tissue diseases, today announced that the United States Food and Drug Administration (FDA) has granted allowance of its Investigational New Drug (IND) application for FCX-013 – one of the company’s gene therapy candidates – to begin clinical trials for the treatment of moderate to severe, localized scleroderma. Localized scleroderma is a chronic, autoimmune skin disorder characterized by excessive collagen deposition resulting in thickening of the dermis and underlying tissue. Moderate to severe forms of localized scleroderma can result in significant morbidity, including pain, restricted motion, disfigurement, and developmental issues. FCX-013 is an autologous fibroblast genetically modified to express matrix metalloproteinase 1 (MMP-1) – a protein responsible for breaking down collagen. FCX-013 incorporates Intrexon Corporation’s proprietary RheoSwitch Therapeutic System®, a biologic switch activated by an orally administered compound (veledimex) to control protein expression. Fibrocell expects to initiate enrollment for an open label, single arm, phase ½, clinical trial in the third quarter of 2018. The primary objective of the trial is to evaluate the safety of FCX-013. Secondary analyses consist of several fibrosis assessments including histology, skin scores, ultrasound, and additional measurements of targeted sclerotic lesions and control sites at various time points up to 16 weeks post-administration of FCX-013. Ten patients with any subtype of localized scleroderma are targeted for enrollment (approximately five patients per phase). The phase one portion will enroll adult patients. Dosing for the first three adult patients will be staggered prior to dosing the rest of the trial’s population. Fibrocell intends to include pediatric patients in the phase two portion of the trial after submission and approval of safety and activity data from the adult phase one patients to the FDA and the Data Safety Monitoring Board for the trial. The FDA has granted Orphan Drug designation to FCX-013 for the treatment of localized scleroderma. In addition, FCX-013 has been granted Rare Pediatric Disease designation for the treatment of moderate to severe, localized scleroderma. FCX-013 is being developed in collaboration with Intrexon Corporation, a leader in synthetic biology. VB Cosmetics company, Dazzle Dry, announced that it is partnering with recognized, global non-profit, WeForest – an organization that engages with scientists, corporations, and other organizations to advance forest landscape restoration. WeForest will be working with Dazzle Dry specifically to help regenerate forests in the Khasi Hills of India. Through the newly launched partnership, Dazzle Dry will donate one new tree to WeForest for every purchase made on its site. Ultimately, with the assisted efforts of companies like Dazzle Dry, WeForest aims to restore the forests of the Khasi Hills and, in turn, support the communities that live there. While this collaboration is expected to continue indefinitely, Dazzle Dry has also decided to kick-start its charitable efforts by releasing a specially-curated WeForest collection. Each purchase of these forest-inspired nail lacquers, including Breathe Free, You Rock, Spiritual Diva, Morning Dew, Dragonfly, and Me d’Forest Queen, will provide an additional tree to the WeForest project through the month of May. To view the featured WeForest collection, visit dazzledry.com. For more information on Dazzle Dry’s partnership with WeForest, visit weforest.org/partner/dazzle-dry. The Association of Holistic Skin Care Practitioners (AHSCP) will hold its 11th annual conference on Nov. 4 and 5 at Chicago’s Crowne Plaza O’Hare Hotel. It will feature extensive, hands-on learning opportunities and demonstrations, so registration will be limited this year. The AHSCP offers the latest protocols and trends in organic, non-invasive skin care, as well as continuing education for aestheticians and holistic skin care certification. Workshops and conferences sponsored by the AHSCP provide education on natural ingredients, demonstrations of European and Eastern methods for individualized skin care protocols, and networking opportunities. For more information, go to holisticskincarepractitioners.org or call 269-384-2170.